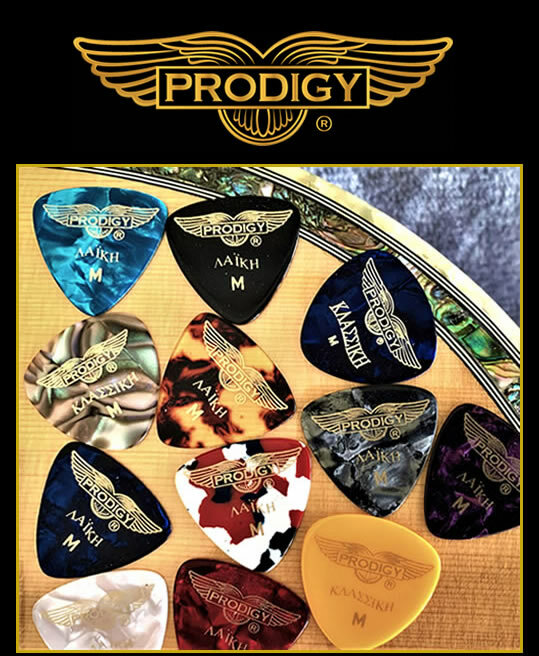 As with all Prodigy products our plectrums are manufactured to a high standard using high quality celluloid which produces a very clear, sweet and clean, warm sound. 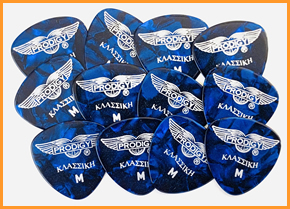 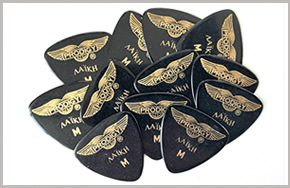 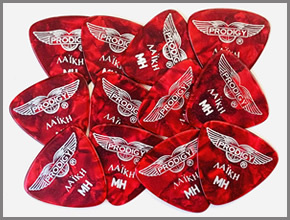 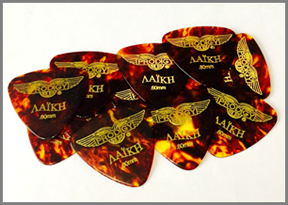 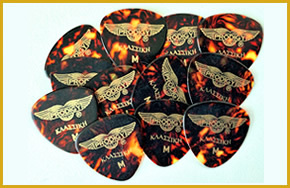 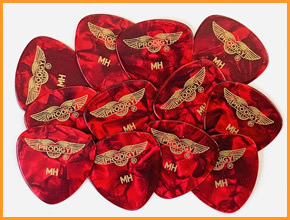 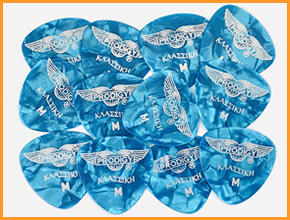 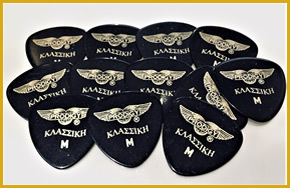 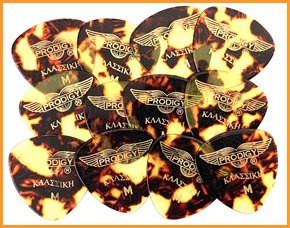 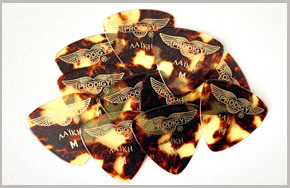 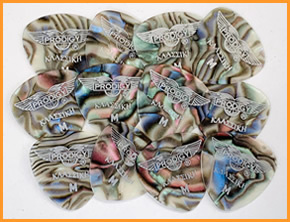 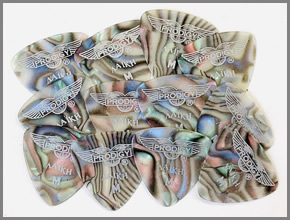 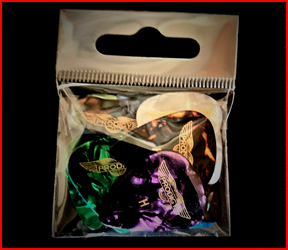 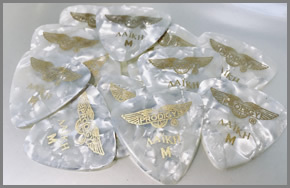 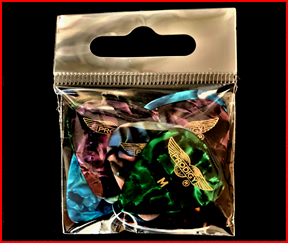 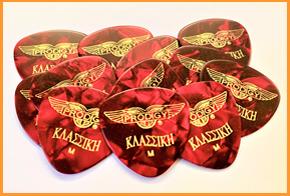 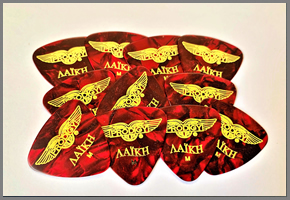 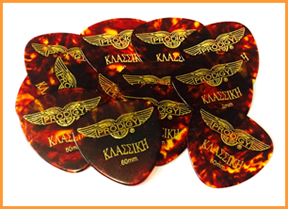 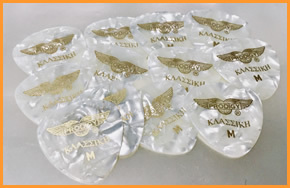 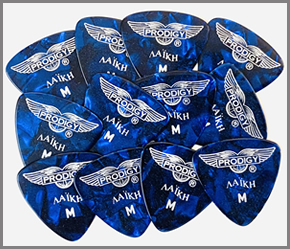 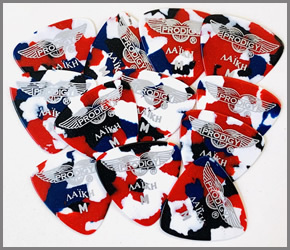 Prodigy Plectrums® come in 2 shapes and are the very first designed and manufactured especially for the Bouzouki. 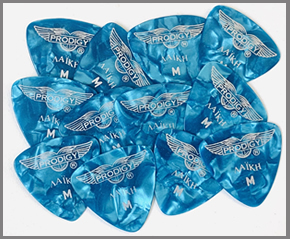 Both shapes are triangular and have 3 identical perfect playing surfaces. 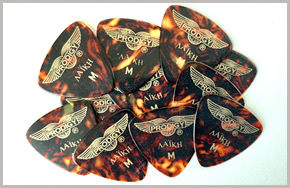 A great deal of research and development was carried out on this new product. 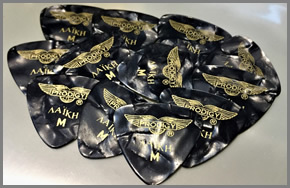 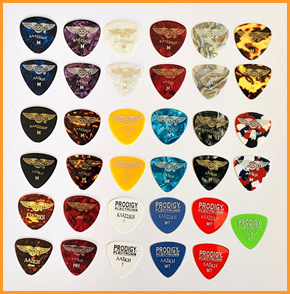 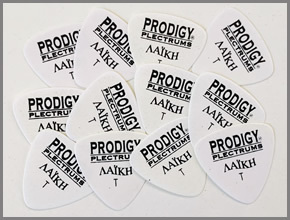 Over the years Prodigy Audio Systems acquired plectrum samples from the world’s top players to determine the best shapes to manufacture. 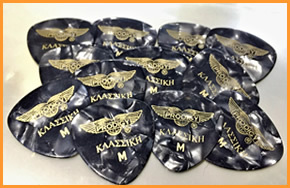 A professional technical artist was also commissioned in order to achieve perfect symmetry for the plectrums. 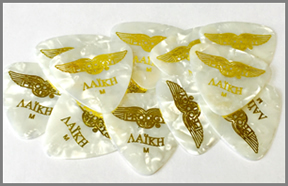 The chosen material is celluloid being the Bouzouki players’ preferred material. 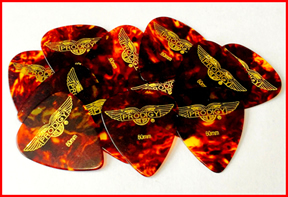 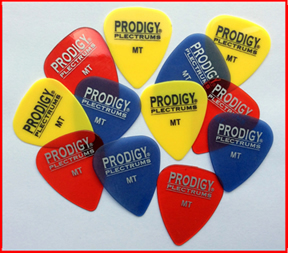 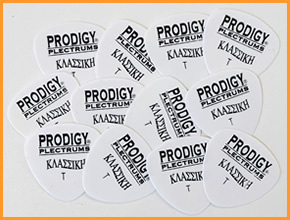 Prodigy Plectrums® have become the world’s top player’s choice of plectrum. 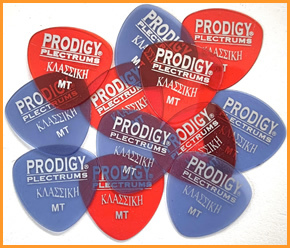 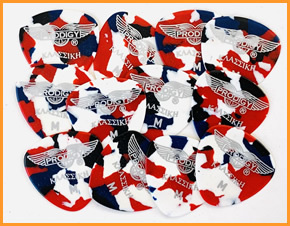 The full range of Prodigy ‘Bouzouki’ plectrums. 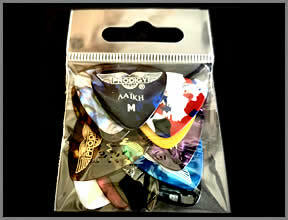 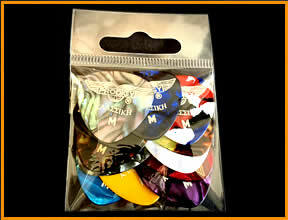 A bag of 48 assorted Bouzouki plectrums. 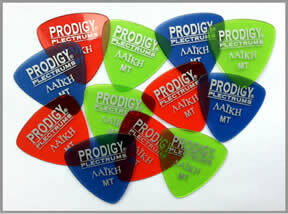 2 plectrums of each shape, gauge and colour.